CONGRATULATIONS ON A GREAT 2018-19 SEASON! The 2018-19 wrestling season is now concluded. Registration for next season will open in October 2019. Practices will start in late November or early December. We look forward to seeing everybody next season! CONGRATULATIONS TO KCWC STATE PLACERS! At the recent 2019 Kansas State Wrestling Championships, Noah Gunion took 5th place and Taylor Spring took 6th place. Congratulations to both wrestlers! Here are some great reminders for parents of all athletes. 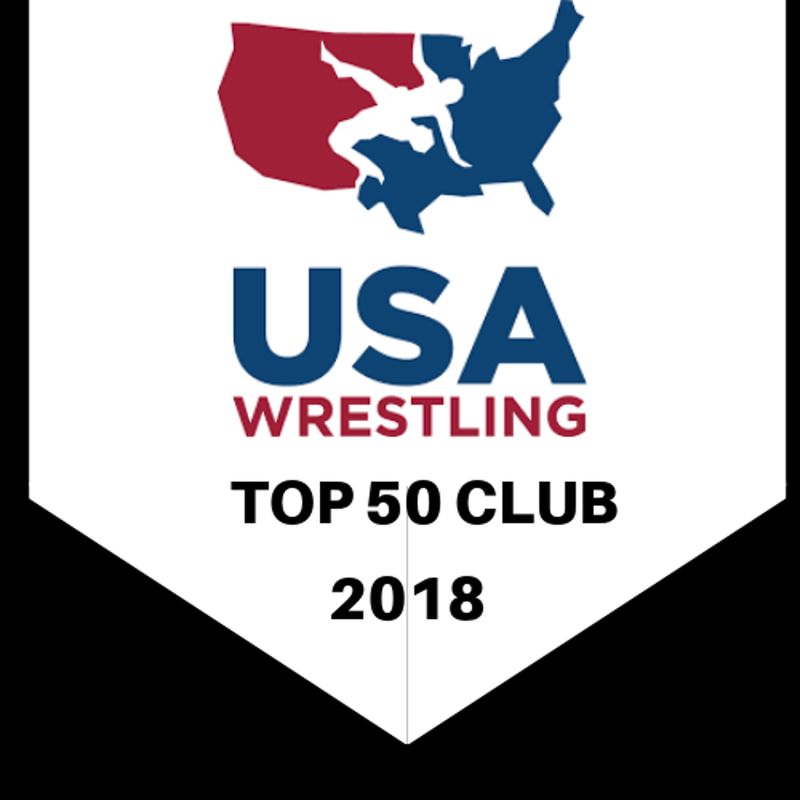 KCWC Recognized as a Top 50 Club by USA Wrestling! 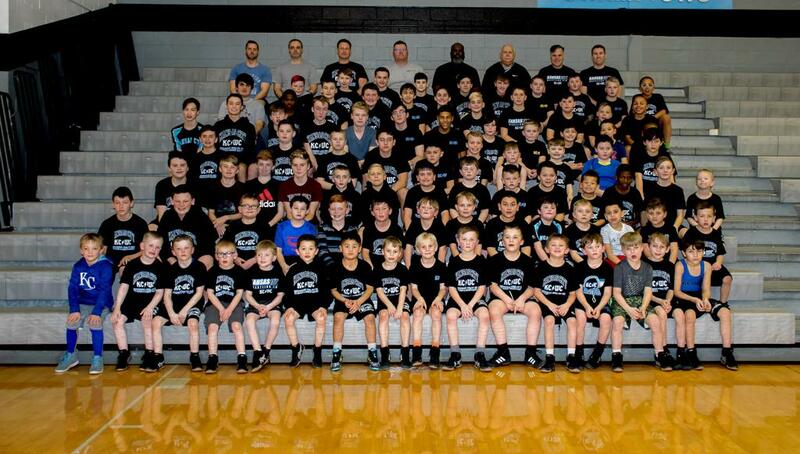 Take the Coach Nitsch Challenge - Devote yourself to Service, Academics and Wrestling! In March 2018, we lost our beloved coach and mentor, Rich Nitsch. Coach Nitsch was a retired FBI agent and liked to give out FBI challenge coins to wrestlers to reward them for hard work and to instill confidence. To honor Coach Nitsch this season, we will present custom made KCWC Coach Nitsch challenge coins to wrestlers who have distinguished themselves through Service, Academics and Wrestling. The coin is pictured above. We hope to present these coins to two or three wrestlers at the end of practice every Thursday night. Please nominate deserving wrestlers (either your child or another wrestler on the team) for either (1) service or kindness to others, (2) accomplishments in the classroom, or (3) achievements on the mat. E-mail nominations to kansascitywrestlingclub@gmail.com In your e-mail tell me a little bit about what your wrestler did to get nominated. 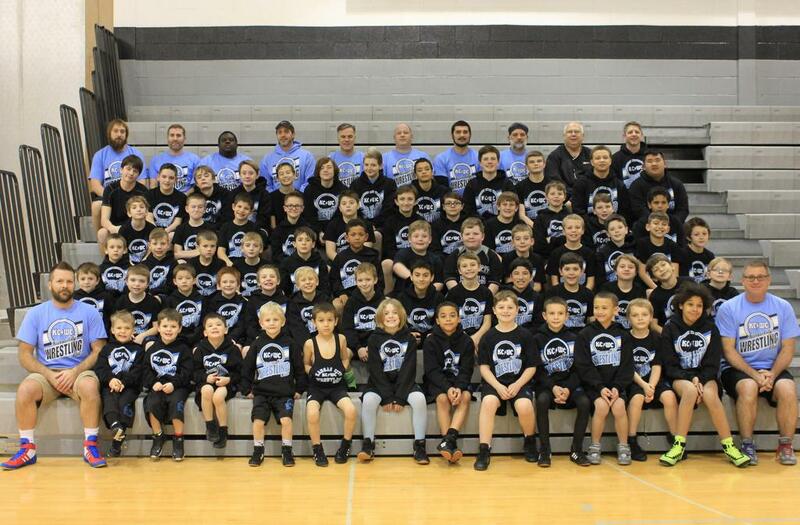 The Kansas City Wrestling Club is a youth wrestling team for boys and girls in Kindergarten through 8th Grade. We are a chartered organization through USA Wrestling. Our season runs from the beginning of December through mid-March.